Listen up Lake Street Dive fans – it’s the chance that you’ve all been waiting for… this must-see show will be taking place on Thursday 6th September 2018 at the Red Rocks Amphitheater and you can be a part of it! As they tour North America, tickets are flying for their exciting show… book yours today! 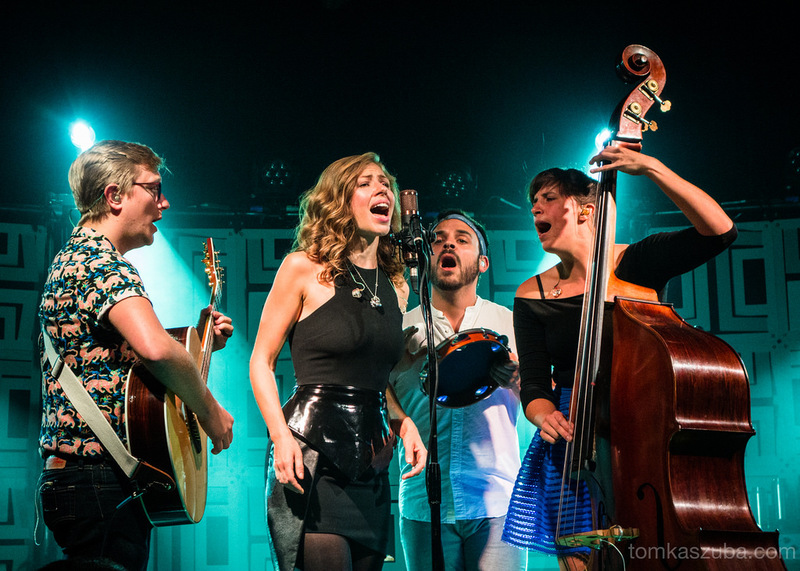 The genre bending vintage style group, Lake Street Dive have been making their mark on the live performance scene ever since their first debut in 2004! The Massachusetts group are a rare breed of a class musicians that are so flexible, transforming incredible classics with a modern edge, yet keeping all of the retro feel. Lake Street Dive are; Rachael Price (lead vocals), Mike "McDuck" Olson (trumpet, guitar), Bridget Kearney (upright bass), and Mike Calabrese (drums). After meeting together at New England Conservatory of Music in Boston and playing concerts within their trumpet players home town, in many dive bars, Lake Street Dive was created and together they spread their wings, touring all over North America and now worldwide. With plenty original material that showcases what they do best, they never fail to give a feel good, hyped show that leaves you wanting more! Tickets are on sale now for their 2018 dates so come and #FreeYourselfUp & get down for the big event… Red Rocks celebrates some of the biggest and best artists out there right now and these guys are definitely up there!